Only a Tangle of Golden Curls. Copyright, 1892, by Chas. K. Harris & Co. Words and Music by Chas. K. Harris. Arranged by Franz Mayr. As the little one says good night, good night. She will think of the baby and sigh. 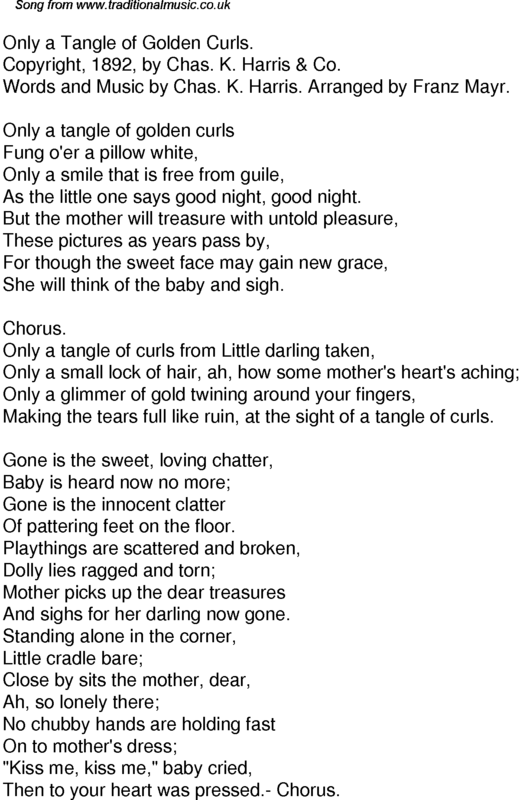 Making the tears full like ruin, at the sight of a tangle of curls. Of pattering feet on the floor. And sighs for her darling now gone. Then to your heart was pressed.- Chorus.